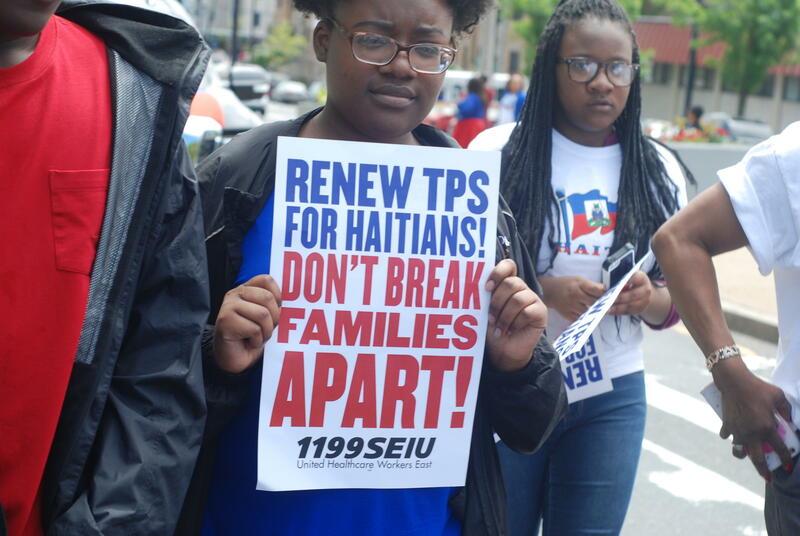 Department of Homeland Security's decision to end Haitian Temporary Protection Status has families wondering about their future in the country. Today on Sundial: Salvadorans were the most recent refugee group to lose Temporary Protected Status (TPS). It's now likely that Hondurans will also lose theirs. What's the latest update on groups like these and Nicaraguans and Haitians? What are people doing to stay in the U.S. or find another country that may take them in? We talk with Ana Quiros of Catholic Legal Services about TPS and about the recent raids by immigration services. A conversation with Ana Quiros of Catholic Legal Services about the latest status of TPS and DACA. And a look into the Miami Herald's new investigative series, Dirty Gold, Clean Cash. Also, Miami Herald investigative reporters Nicholas Nehamas, Jay Weaver and Kyra Gurney join us to talk about their new series, Dirty Gold, Clean Cash. Their investigation shows how Miami has quickly become a hub for illegal gold, thanks to the links between illegal mining in Latin America and money laundering.